Infographics have become the picture of modern marketing. They condense and convey complex data into simple snippets. Our brains respond to the visual, so their clear and concise images entice the eye and engage the mind. They make information resonate, which helps brands express their marketing message and distinguish themselves from the crowd. While we’ve all become accustomed to static illustrations, advances in technology have evolved the art of infographics. Now there are different formats to feature facts and figures. HuffingtonPost.com shared what’s new and next in infographics. These simple static graphs were our introduction to infographics and remain the most widely used. They are typically a simple, saved image that is easy to share and understand. They are also very adaptable and are able to be divided in sections to let marketers highlight particular points. This makes the static format ideal for social media sharing and presentations. With interactive infographics, viewers can get more immersed in the data. They let people get involved with the graphics and interact with its elements. They turn a simple, static graphic into an engaging experience, which helps people relate to the data in a much more personal way. Infographics are known for making large amounts of information short and sweet. But a vast amount of detailed data can demand a larger format to display it all effectively. Zooming infographics are ideal for this purpose because they let users reduce a large graphic to be viewable in one screen. They also allow for easy zooming of very small details and data. Video infographics make it possible to use data visualization to make a compelling statement. The addition of motion and sound support the graphic’s facts and figures to leave a lasting impression. These animated infographics have motion like the video version, which can bring their data to life. But they aren’t video files. Instead, they’re powered by HTML codes or animated GIF image files that can be stored as standalone entities on any type of Web page. Their movement in seen in subtle ways that doesn’t detract from the data, such as charts that change colors or move to demonstrate details. With these different infographic formats, marketers have more options for making their messages memorable. 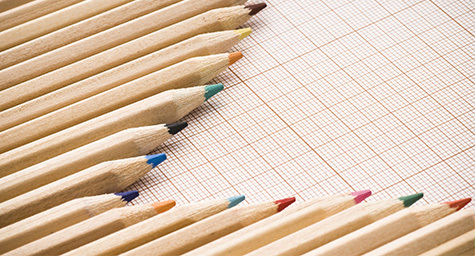 Discover the power that infographics can add to digital marketing strategies. Contact MDG Advertising today at 561-338-7797 or visit mdgadvertising.com. MDG Advertising, a full-service advertising agency with offices in Boca Raton and New York, NY, is one of Florida’s top branding firms. MDG’s capabilities include print advertising, direct mail marketing, branding, logo design, creative, digital marketing, media buying and planning, radio and TV advertising, website design and development, online video advertising, infographic development, email marketing, mobile marketing, content marketing, social media marketing, paid search marketing, and SEO. To learn about the latest trends in advertising and branding, contact MDG Advertising today at 561-338-7797 or visit mdgadvertising.com.